‘Tis the season for cookie baking, holiday parties, candy canes and countless other opportunities to indulge in delicious food. Unfortunately, all of that delicious food means that most of us consume extra calories during this time of year. There’s some bad news that comes along with those extra calories: the evidence shows that weight you gain over the holidays tends to stay with you. Data from similar studies show that a large portion of the total weight people gain during a year comes from the holiday season and that people who are obese or overweight tend to gain more over the holidays compared to those with a healthy body weight. 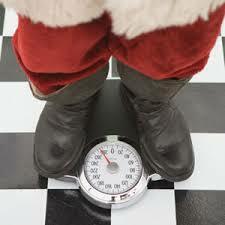 If holiday weight gain is cumulative, that could mean putting on 40 or 50 pounds over a lifetime. What’s a cookie lover to do? There are some evidence-based tips on avoiding weight gain over the holidays. Fit in exercise whenever you can. New evidence published by the U.S. Department of Health and Human Services finds adding physical activity to your day in any way that you can helps to prevent weight gain and provides a host of other benefits including lowering blood pressure, reducing anxiety and improving your mood. Systematic reviews show that burning the calories you consume is an effective strategy for preventing weight gain. That may mean more exercise than you think. One review found that in order to maintain weight, participants need to burn 1,500 to 2,000 calories per week exercising. That’s the equivalent of walking about an hour a day at a moderate pace or running 13 miles a week. But you don’t have to do it all at once – your physical activity accumulates throughout the day. So park farther from your office door, take a quick walk during your lunch hour and take the stairs instead of the elevator. Keep track of your diet, exercise and weight. The evidence shows that weighing yourself on a regular basis and keeping a journal to track diet and exercise really works. Eat at home as often as possible. That means keeping the pantry and refrigerator stocked with handy, healthy foods such as fresh fruits, oatmeal, beans and prepared salads. Especially if you know that you have a holiday party coming up, make an effort to eat healthy meals at home before and after the party. Fill up on fruits and vegetables. Data show people who eat more fruits and vegetables are less likely to become obese. At a buffet, fill at least half of your plate with fruits and vegetables. And at home, focus on eating meals with larger quantities of fruits and vegetables. The take-home message: Even though the holidays are a time to indulge, if you’re aware of your diet and rate of exercise, you can probably avoid gaining too much weight.